It is our mission as the Board of Directors, the director, teachers, and aides of Safari Learning® to work diligently to reach all students, ages 18 months through seven years, according to their needs and abilities. It is our goal to teach to the WHOLE child by encouraging self-discovery, a love of learning, to care for others as well as oneself, and an empathy and appreciation of the diversity we see in other people, cultures and customs. 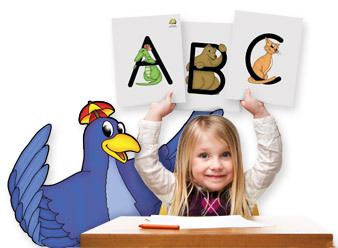 We will provide a fully integrated toddler and preschool curriculum, based on the Zoo-phonics® Multisensory Language Arts Program and Methodology, designed to build each child’s physical, social, emotional, academic and mental development. Respect and appreciation for our earth’s beauty and resources will be emphasized and fostered. We will help parents, as first teachers, to participate in their child’s preschool experience as an extension of the child and family. Parents, children, teachers, aides, and the director will work as a team in the best interests of each child and actively communicate to insure maximum student growth and parental support. At Safari Learning® we provide a safe, clean, creative and positive learning environment where every child and parent will feel cared for, respected and comfortable. As a support system for working parents, we will offer a nurturing atmosphere where children look forward to attending and parents can concentrate on their work or other responsibilities without anxiety. It is our goal that we become a helpful support system so that you can leave your child with us and feel confident, regardless of age or stage, that your child is being cared for commensurate to the care that he or she would receive from you. We want your child to feel safe, loved and comfortable away from home. And to have an arena, beyond the home, to develop socially, physically and academically.